On September 15th 2013, TSO Mobile will do the official release of its new platform and all current users will be smoothly switched permanently to the new system, and the ability to go back to the current platform will not be available. 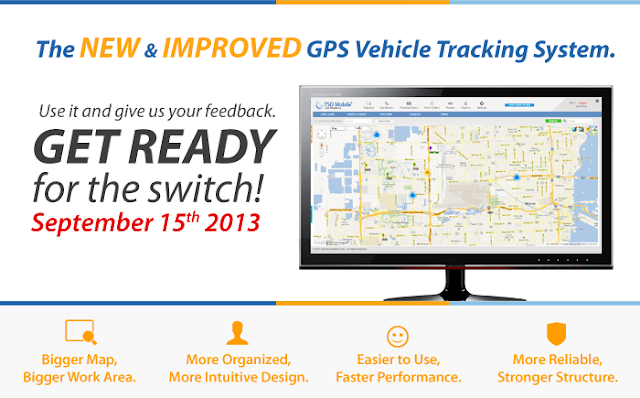 All new user will start using the new and improved GPS Vehicle Tracking System and Fleet Management Solution. However, current users already can access the new system through a button labeled “Try the new Beta Version“ placed at the top toolbar of the current system in the Mapping module. Once they are in the new GPS Tracking System, they can go back to the current platform by clicking the “View Classic Version” button on the top toolbar. 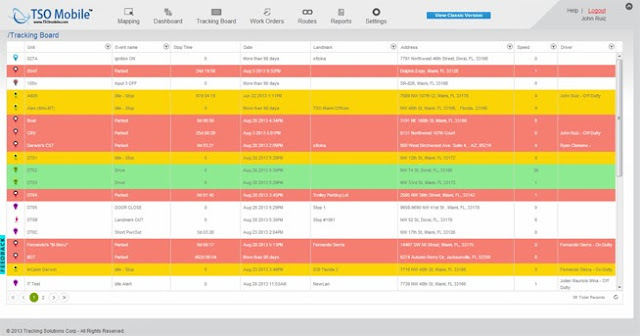 • The look (bigger map, bigger work area, more organized and intuitive design. • Technology (stronger structure and development). • Reliability (Easier to use, faster performance). TSO Mobile already had a top notch and very competitive system, but these changes now place TSO Mobile's GPS Vehicle Tracking and Fleet Management System at a level where it makes it easy for fleet owners and dispatchers to make a quick and smart decision when implementing fleet tracking on their operations, due the quality, performance, powerful tracking and dispatching tools, and the reliability of the system. The new system also has allowed TSO Mobile to upgrade current features and implement new ones which will be something very exciting to see! 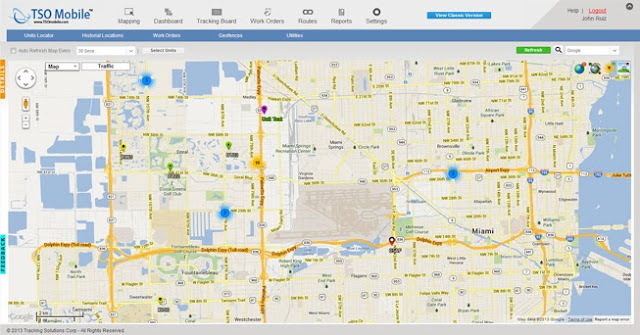 Get a demo today and experience GPS Vehicle Tracking and Fleet Management like never before!